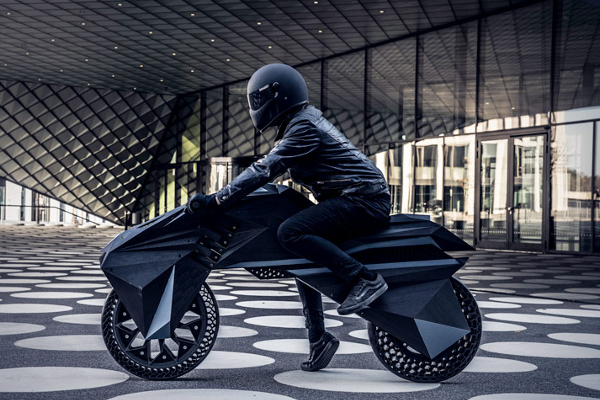 BigRep launches NERA, World's first fully (FFF) 3D-printed, functional e-Motorcycle. 3D printing thought and innovation leader BigRep today showcases NERA, the world's first fully (FFF) 3D printed, functional E-Motorcycle. Opening a new dimension for Additive Manufacturing, the prototype designed by NOWLAB, BigRep's innovation consultancy, and printed on BigRep's large-scale 3D printers (BigRep ONE).